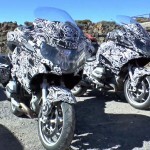 MV Agusta announced it would unveil a new sport-touring model at the 2013 EICMA show in Milan. 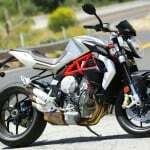 No official details were provided, only the name, the MV Agusta Turismo Veloce 800, though that itself gives us a good idea of what to expect. “Turismo Veloce” translates loosely to “fast touring”, hence the assumption it will be a sport-touring model. 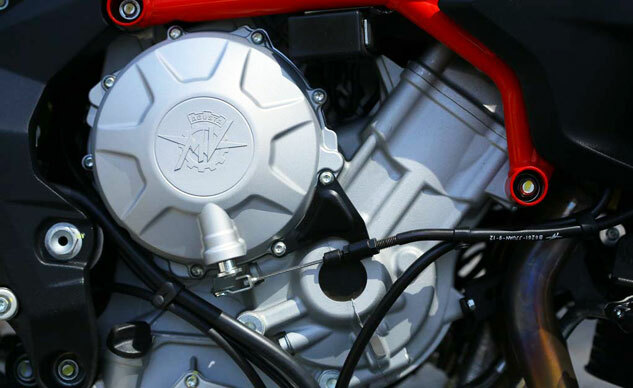 The 800 designation all but confirms the engine will be MV Agusta’s 798cc Triple that powers the Brutale 800, F3 800 and Rivale 800 (pictured above is engine on the Brutale 800.) 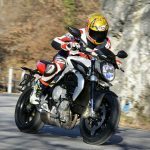 On the F3 800, the engine claims 146 hp at 13,000 rpm, but the Turismo Veloce will likely be closer to the Brutale and Rivale models’ peak of 123 hp at 12,000 rpm. 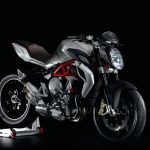 Also expected for the Turismo Veloce 800 is MV Agusta’s Motor & Vehicle Integrated Control System (MVICS) electronics suite, which includes ride-by-wire throttle control, multiple mappings and an eight-level traction control system. 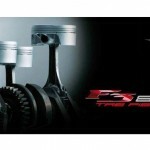 Anti-lock brakes should also be expected to comply with upcoming European homologation requirements. For touring purposes, the Turismo Veloce is expected to offer a comfortable seating position, tall windscreen and luggage. 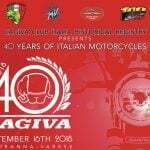 We’ll have more information when MV Agusta reveals the Turismo Veloce 800 at EICMA on Nov. 5.